Kansas is a No. 4 seed in the Midwest Region, facing No. 13 Northeastern in the first round. Duke, Kentucky, Indiana, North Carolina and UCLA. Name almost any blue-blood program in college basketball, and that team has appeared in one or more NCAA Tournament games in Salt Lake City. Who’s missing? Kansas. The Jayhawks will check that box Thursday, facing Northeastern in a first-round game at Vivint Smart Home Arena. This week marks the 20th time the University of Utah has hosted NCAA games over 52 seasons, in Einar Nielsen Fieldhouse, the Huntsman Center or Vivint. Kansas is competing in the tournament for a 30th consecutive year. Only now, though, are SLC and KU converging. The Jayhawks never have played a regular-season game in Utah, either. But the historic program that was once coached by James Naismith and Phog Allen and produced Jazz players such as Danny Manning and Greg Ostertag is now appearing in the Jazz’s arena. The Jayhawks beat BYU and Utah State in NCAA games in the 1990s and 2000s. Kansas won the national championship in 1988, the year when Ute legend Arnie Ferrin (then Utah’s athletic director) was the NCAA basketball committee chairman. Those are the closest basketball connections between Kansas and Utah — until this year, when coach Bill Self’s recruiting trip turned into a site visit. “I'm a veteran when it comes to the city and cultures and all those things,” Self said. Self came to Mount Pleasant last month (taking photos of the snow-capped mountains on the drive), to recruit Wasatch Academy star Tristan Enaruna, according to the Kansas City Star, and now he’s returning to Utah. Kansas is seeded No. 4 in the Midwest Region. So the big story line for Jayhawks on Selection Sunday was how they could win two games in Salt Lake City, against Northeastern and probably No. 5 Auburn, and then go to Kansas City for the Sweet 16. This is new territory for Kansas, in multiple ways. No. 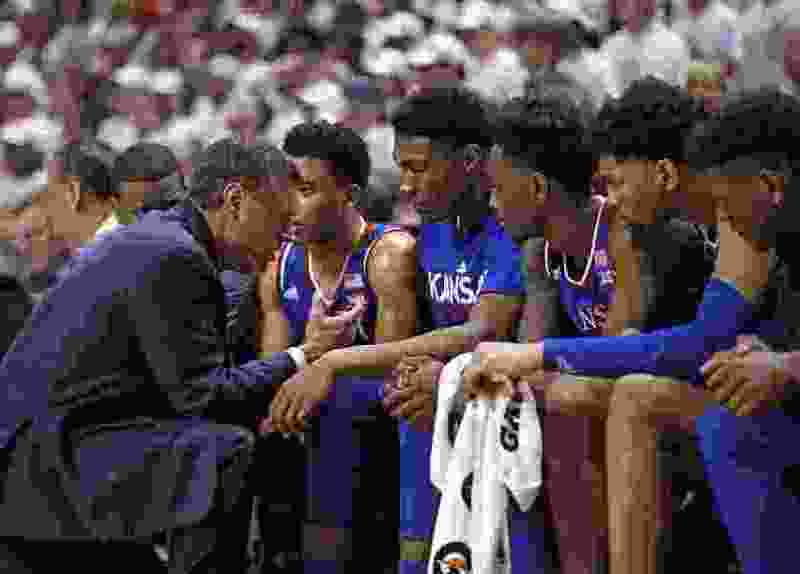 4 is the Jayhawks' lowest seed since 2006, when a team with three freshman among the top four scorers was upset by Bradley (coached by former Jazz guard Jim Les) in the first round. Brandon Rush, who would play briefly for the Jazz late in his career, was among the young stars of the team that won the national title two years later. This year's Jayhawks are led by junior forward Dedric Lawson, who averages 19.1 points and 10.3 rebounds, and freshman guard Devon Dotson, with 12.1 points and 3.6 assists. Salt Lake City's tournament draw includes three of the 15 finalists for the John R. Wooden Award, with Lawson joining Gonzaga forwards Brandon Clarke and Rui Hachimura (the Bulldogs are in a West Region bracket). But first, the Jayhawks have to do something they’ve never done: win in Utah. New Mexico State: 11-11:40 a.m.
Fairleigh Dickinson/Prairie View A&M: 4:55-5:35 p.m.